Styles Pressure Washing makes it easy to bring out the best in your home. Our residential services address all the needs of your property — from the driveway to the roof! We are proud to create a welcoming place for you to call home, and we’re also dedicated to enhancing the value of your investment. 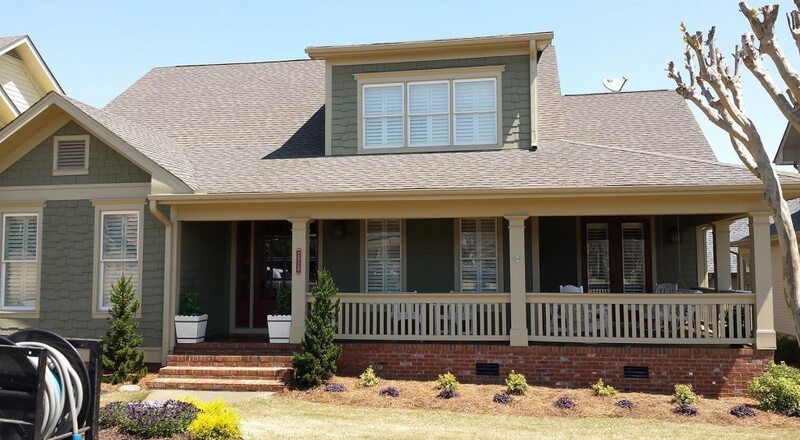 We use soft washing to get our customers clean and welcoming home exteriors. This method uses low water pressure and chemical detergents to remove mold, dirt stains, and every eyesore in between. Our team adds curb appeal and remove accident risks from your driveway, sidewalk, and pool decks. Pressure washing and special cleaners lift dirt and even remove motor oil and chewing gum. Black streaks don’t belong on any roof. We remove the offender, an algae called Gloeocapsa Magma, and also restore the spotless aesthetic to all of your shingles. We clear out your gutters to help them protect your home in any weather. From gutter cleaning to clog removal, we offer professional service to prevent water damage to your foundation and landscaping when bad weather arrives. Just glass, no streaks. Our team uses a Pure Waterfed Pole (WFP) System to clean your windows. Filtered water will remove buildup, fingerprints, and other debris without ever leaving any marks in its midst. From a fleeting first impression to an up-close-and-personal look, your property will be a beautiful and welcoming place to call home. Get the best in residential Services from Styles Pressure Washing!